Talk about rugby revolves on off the field events which drown the hints of on field activity. The most chatted topic is that Navy SC has suspended four players after their match against Army SC. On field they wore bands to show solidarity with a fellow player, who was alongside them till recently. Off the field action was taken by the Sri Lanka Navy to suspend these players as reported in the public domain. Discussion now revolves along whether this action is in conformity with rugby laws and or tournament regulations. My view is that the current action has nothing to do with the laws of the game or the regulations or the code of conduct as it stands. 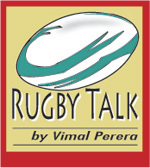 It is action by the Sri Lanka Navy which is an internal matter and also more in line with the Navy Code of Conduct which is different to the code of a civilian rugby playing club. Action from rugby governance is another issue not touched upon at this time. Even in civilian rugby action of a club or other constituent that plays rugby has to consider issues that are in conformity to the World Rugby Code and conduct and regulations. Generally, I think all governing bodies in sport will not want Race, Religion or Politics to be part of sport. That is a different issue and bringing the game into disrepute has to be interpreted in the wider sense. Disrepute revolves around Rugby -related conduct including any form of behaviour that may irrefutably damage the game of Rugby, or may negatively influence the public’s attitude towards, or support for, the game and/or its participants. If the game being brought to disrepute is to be applied it has to be looked at a wider sense. For information cited are two cases about bringing the game into disrepute and you can make your opinion on what took place? The question is what you were protesting for. In 2009 the South African Rugby Union, members of the South Africa squad and team officials were been found guilty of acts of bringing the Game of Rugby into disrepute in breach of the IRB Regulations Relating to the Game. The action arose from the South Africa national team and management wore armbands during the third Test against the British and Irish Lions as a protest action following the upholding of Bakkies Botha’s two-week suspension by an independent Appeal Committee for dangerously charging into a ruck without binding onto a player. In 2013 Mike Scott, the former London Welsh team manager, received a lifetime ban from any involvement in rugby union for falsifying documents, including a passport, in the registration of the club’s New Zealand-born scrum-half Tyson Keats. He said in imitation that the deceit began after he had initially made a postal application for an ancestry visa for Keats, whose maternal grand­father is English, which was rejected as he had omitted some of the required documents. Scott said that he then panicked and submitted false documents to the RFU. The unsatisfactory aspect of the game I saw last week deems comment before I talk about Rugby. One was a spectator seen on the field n Nittawela and approaching the referee just as full time was blown. This was not the end to the façade that took place as the referee left the field. While this is brought to focus what I cannot excuse is the behaviour of some believed to be parents who were calling the referee by all sorts of names after Science beat Trinity in the School Under-18 Division I Sevens final? A feature of the Under-20 and Under-18 rugby Sevens was the spirit that existed on the field as well as among spectators who were most interested in rugby. Not that the comment and scream was not there. But all was part of the rugby watching spectator. Bit this final show by persons who should set a better example to rugby at large and the kids in particular need to make them go home and look at themselves in the mirror. The recent furor about opera singing coaxed a friend to comment “Opera is the past time of a Golf Playing Cognac sniffing community. The ordinary will not understand or appreciate the taste of Opera and a Soprano. Attempting to give the public a dose without a charge is not a bad idea,” was what he said. The irony is that the rugby class with the Golf Playing Opera patronizing Eaton mentality who once patronized the better portals of schools rugby is now invaded by the crowd who would prefer the, “Kollupitiya Junction when I was at a function”. Getting back to rugby it looks like Kandy will certainly win the league with two matches left. If Havelock’s have to win the league Kandy must lose both games due against Navy and last with Havelock’s. Looking at the way they played against CR this is not impossibility. However, Navy will be depleted after suspensions while few more who escaped the camera may be on a nervous run. This again becomes a talking point to some who will build conspiracy theories on who got whom suspended and for what. Much forward thinks when the simple fact is that this is a matter of internal discipline where the forces that pride themselves as disciplined cannot ignore. From the frying Pan to the Fire! Will it be déjà vu for President Thilanga?